Frazer Mobile Stroke Unit at the International Stroke Conference next week! - Frazer, Ltd.
Frazer Mobile Stroke Unit at the International Stroke Conference next week! When: Wednesday & Thursday, January 24th & 25th from 10 a.m. – 4 p.m.
We are excited to be exhibiting again this year at the International Stroke Conference in Los Angeles. 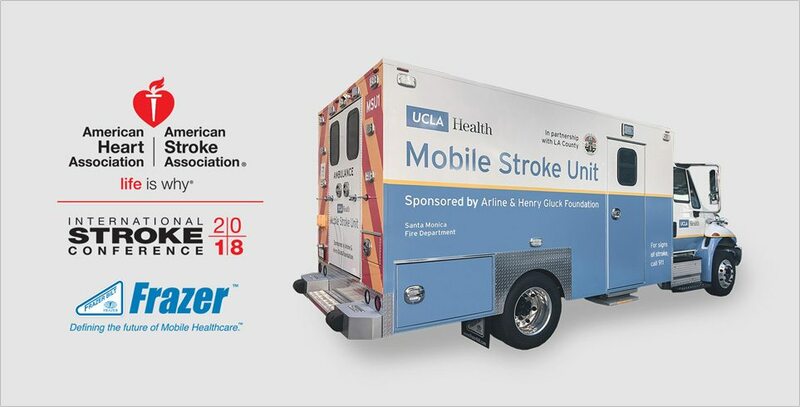 We will be showcasing the latest Mobile Stroke Unit, built for UCLA Health in booth #121. Stop by and learn more about how Frazer is Defining the Future of Mobile Healthcare.